What Do People First See? Re: What Do People First See? A load of squares with lines across....mind I have been out wining and dining, so its possible I may be missing something obvious. What else do you see if you look between the squares? Angry Andy wrote: Stretched out swastikas? I wont spoil it for others. It is why I was interested to see what people saw first. I know you won't Syl.. I can only see squares, been staring at it a couple mins now. Go crossed eyed..(more than usual ) they may come into focus. Oh I got it now, how didn't I see it before lol. For fcuk sake Didge what is it? nicko wrote: For fcuk sake Didge what is it? If you look you will see 16 circles Nicko. Most normally see the boxes first. 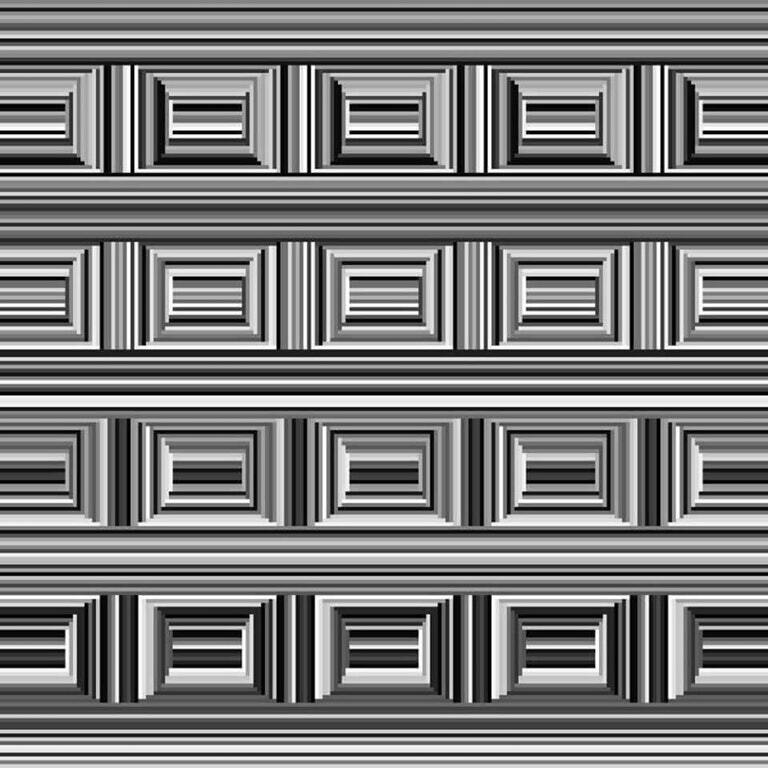 Concentrate on only looking at the vertical lines between the boxes Nems..
Yeah once you turn your gaze from staring at them but flick your eyes over they become so apparent. Like a circle in a circle and a wheel within a wheel lol.